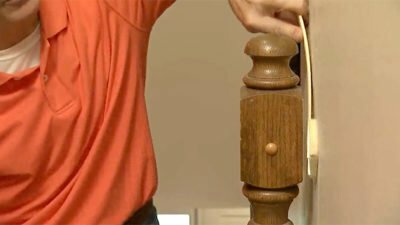 There are tons of painting tools out there, but some spaces are still too tight to reach, such as behind the stair balusters. So, I created my own tool by modifying a paint pad. Using a knife I trimmed the edges of a paint stir stick to fit in the channels of a paint pad. Watch the video for details.